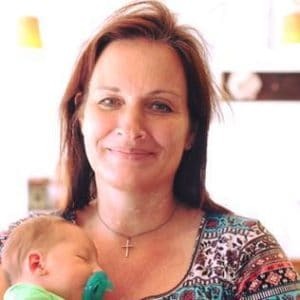 October 14, 2018 0 comments on "Loaded Baked Potato Salad"
Easy recipe for loaded baked potato salad. 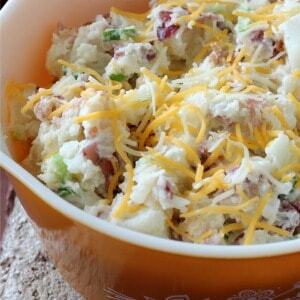 One of my favorite potato salad recipes! 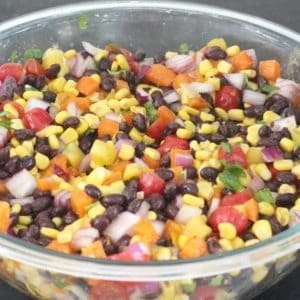 June 25, 2018 0 comments on "Southwestern Black Bean and Corn Salad"
Easy recipe for southwestern black bean and corn salad. 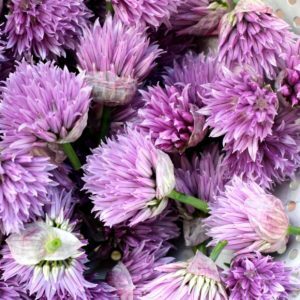 May 21, 2018 4 comments on "Chive Blossom Vinegar"
Easy recipe for chive blossom vinegar. This homemade infused vinegar has a wonderful chive flavor and is a pretty pink purple in color. Great for homemade salad dressings and marinades. August 17, 2016 0 comments on "Cottage Cheese Jello Salad"
July 30, 2016 0 comments on "Chicken Taco Salad in a Jar"